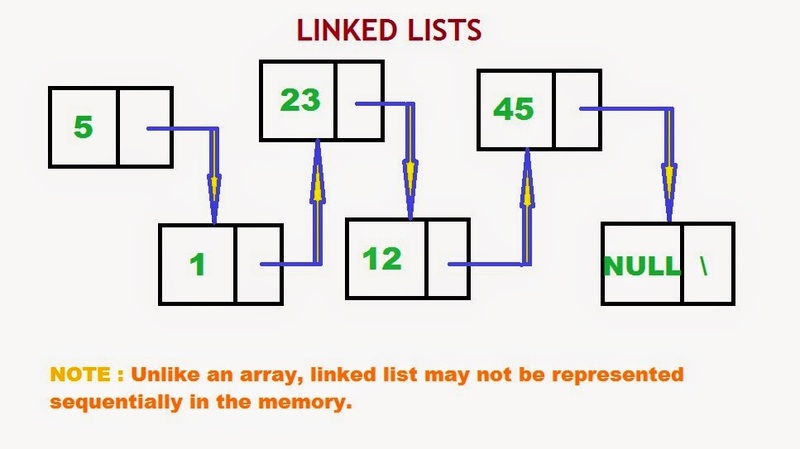 Linked Lists : Introduction | The Daily Programmer '+g+"
A linked list is a list of elements linked together. Each element is represented by a node which consists of two components - information about that node, i.e., the data stored in the node, and a pointer to the next node in the list. We need to maintain a node named 'start' (it can be arbitrarily named) to mark the beginning of the list. The last element points to NULL. 3. Set the next pointer of the node to NULL. For traversal in a linked list, we need the start node, which tells us the start of the list. We take a temporary pointer, initialise it with the start pointer, and move the temporary pointer to the next node till it reaches NULL.